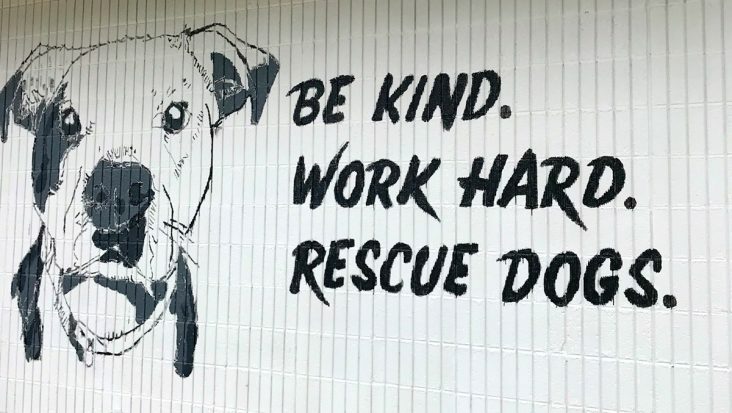 The Fort Smith Animal Services Advisory Board (ASAB) has developed a list of animal control recommendations for creation of an ordinance they hope will be approved by the Fort Smith Board of Directors by year’s end. HOPE Humane Society officials have renewed calls for a mandatory spay-neuter law in the city. Storm Nolan, Fort Smith businessman and vice president of HOPE Humane Society, on Sept. 4 urged the board to consider a spay-neuter law as a way to reduce an animal population problem he called a “city problem.” He said then that HOPE has taken in 1,900 animals so far this year, or 237.5 per month through August. Former City Directors Philip Merry and Pam Weber attempted in 2011-2012 to enact a mandatory spay and neuter law in Fort Smith. It ultimately failed by one vote. “It was a lot of, ‘Don’t tell me what to do with my dog,’” Merry said when asked why the vote failed. The rate continues a problem that has been present since at least 2015 when the facility took in 3,160 total animals, he said. The number dipped to 2,620 the following year before hitting 2,858 last year. Per Nolan’s numbers, it’s trending to match last year’s intake. Most of the animals are dogs and cats. ”Almost all these dogs and cats came from Fort Smith Animal Control,” Nolan said. Nolan sent Talk Business & Politics the list of suggestions they are asking the ASAB to consider for a city ordinance. Three members of the HOPE Board – Stacie Cox, LeeAnn Hicklin and Sam Terry – are also ASAB members. Following is the bullet-point list of suggestions. However, Dr. Jon Remer, owner of Remer Veterinary Hospital in Fort Smith and former ASAB member, said he has problems with most of the suggestions. “When they say ‘every unregistered animal brought to the shelter must be spayed or neutered,’ I don’t understand it. Do they mean every dog picked up by animal control taken to the Hope MUST be spayed or neutered when the owner claims the dog? Because, after 5 days the Hope assumes stewardship of all dogs and all pets leaving a shelter must be neutered according to state law, and you cant tell me they would neuter a citizens pet while its being held for owner return WITHOUT owner consent,” Remer noted in an e-mail interview with Talk Business & Politics. He also said the city has an ordinance concerning animal identification stating that identification is required but left it to the owner which option to choose. He’s also not sure what the HOPE board hopes to achieve with respect to microchipping. He also predicted “unaltered animal registration (isn’t) going to fly either” with the public. “Do they honestly think people are going to comply, and when they don’t, isn’t the cost of enforcement far greater than any monetary return from fines?” he noted.